The Gifts of the Spirit have different uses, yet their main purpose is to reveal God's power through His people. You might find you have one gift more prevalent than another. That’s ok! All of the gifts are to serve the Lord and His purposes. He is the one who activates them and chooses who, when, where and why. They are meant for God’s people, especially inside the church. 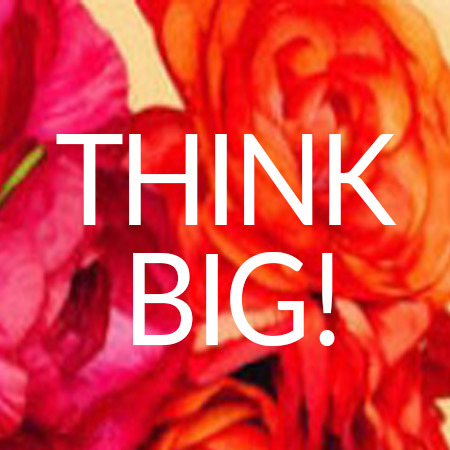 When thinking about gifts and abilities, think big, think super big! You will find this must-look-into statement in John 14:12. “Very truly, I tell you, the one who believes in me will also do the works that I do and, in fact, will do greater works than these, because I am going to the Father”. See, you are called to do these things or Jesus would not have insisted you do them. Remember: The use of these gifts are subject to your faith and an act of will on your part. Your part is to believe God can and will use you through them. Being ready and willing to allow the Holy Spirit to activate and empower you as needed. A Word of Wisdom is when the Holy Spirit gives you the supernatural power to speak a message of Wisdom, of knowledge or insight. He will use you to disclose truth, the mind, purpose and ways of God, applying it to a specific situation. When you speak this “word”, the message will be assertive, amplified and applied in a correct way. It will give you insight and the ability to solve a problem or difficulty. Let’s say, you are in a meeting, and one thing on the agenda is a very difficult issue to resolve. The subject matter is at an impasse. Suddenly, the Holy Spirit brings revelation to you, who with a “Word of Wisdom” brings a deeper look into the subject matter and the "wise" insight to solve the problem. A Word of Knowledge is when the Holy Spirit gives you supernatural illumination to speak a word with facts and information only revealed by God for the purpose of knowing and understanding. The Holy Spirit uses you to bring to light facts or events; revelation of information about a specific thing or an immediate issue or need. This information could be to edify or build faith. Let’s say, someone is experiencing fear and comes to you for prayer. As you are praying, the Holy Spirit reveals to you a tragic occurrence that happened when that person was younger. The person is surprised since you could not have known such information unless the Lord revealed it to you. With this “Word of Knowledge” you are helping someone to understand where it (fear) originated and lead him or her to be free from it. Here, the Holy Spirit gives you the supernatural faith to believe God for the wonder-workings and the extraordinary. This is a special outpouring of supernatural faith for the release of a miracle. Let’s say you are going to a mission’s trip where the place you are ran out of food. As you are there visiting, you receive a revelation from the Holy Spirit that makes you rise up spiritually and you can “see” and believe for food to appear and be multiplied. You now have “Great Faith” at work in you to speak out loud a prayer that ignites the faith for something extraordinary to happen. Suddenly you see that the empty area where usually the food is stored is full again. The amounts of provisions are visible and ready to be consumed. Let me tell you! A missionary in Mozambique has experience things like these great miracles of faith in her village. True story! In this case, the Holy Spirit gives you the supernatural power to restore and heal the mind or physical body. See what happened to our founder, Christina Cento in a Real Estate office. With this gift, the Holy Spirit gives you the supernatural power to either: declare, confirm, counsel, exhort, encourage, clarify or edify the body of Christ. It is a supernatural disclosure, a sudden spirit inspired insight of God's will. Here, the Holy Spirit gives you supernatural power to affect, temporarily stop or intervene with the laws of nature in an extraordinary way. It is a manifestation of divine power to perform something that could not be done naturally. Let’s say you are praying for someone who lost half of their thumb in an accident. As you pray, you see the manifestation of God’s divine power performing a miracle and the missing part of the finger grows back to its original shape and form. That’s a creative “Miracle”! Can you see how God loves to show off and get the glory? Here, the Holy Spirit gives you supernatural ability to distinguish between good and evil spirits, revealing truth or error to prevent deception. In this case, you would be able to detect the true spirit behind acts and manifestations taking place. Believe it or not the Bible talks of times that will come when demons will teach their own doctrines. In this one, the Holy Spirit gives you the supernatural ability to speak or sing in an unlearned spoken language to edify yourself or someone in the body of Christ. It is praying or singing in a supernatural or “heavenly” language that has a specific message associated with it. Remember, the Holy Spirit knows everything about you and what you need. When you are “praying or singing in the spirit” this bypasses your human intellect and it is the Holy Spirit who prays the “perfect” prayer on your behalf. The Holy Spirit can also give you or someone else the supernatural interpretation of the unlearned spoken language to a known language (such as English, Spanish, etc.) to bring edification to a believer or the entire body of Christ. God placed these supernatural gifts in you to be used when they are needed. You will start to see God and yourself in a different “light” when you use (deploy) these gifts. You are a light to this world - flow in the Gifts of the Holy Spirit to bring glory to God.